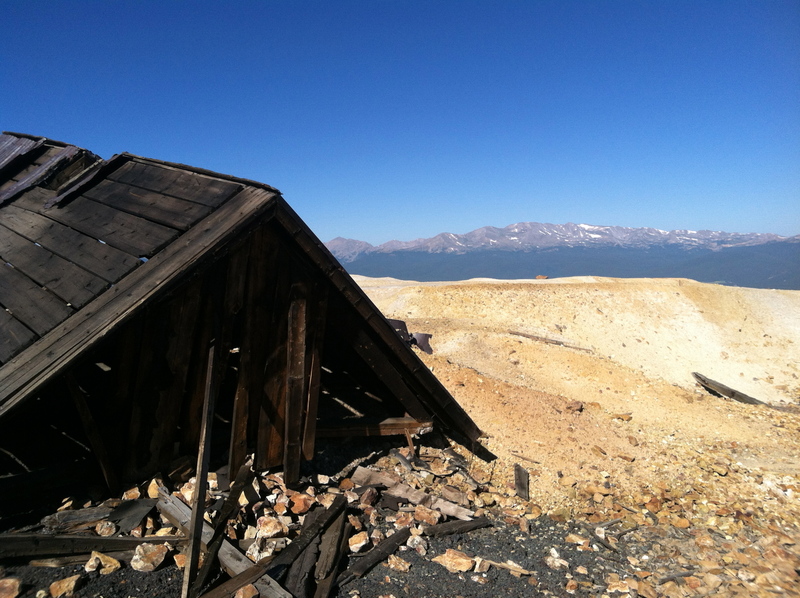 Runners I talk to say Leadville is a magical place. 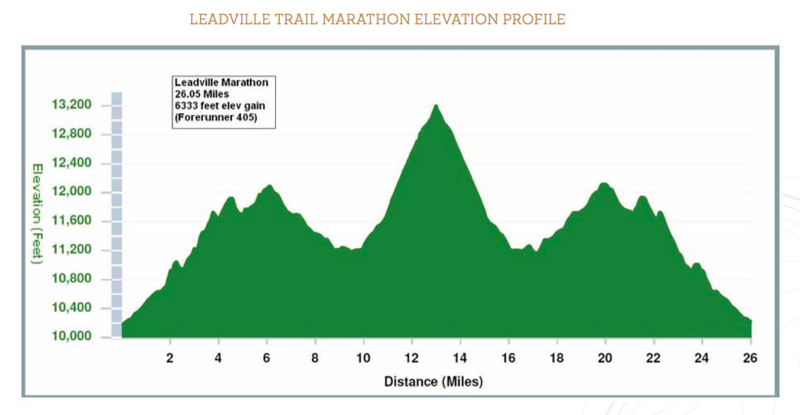 Leadvile pushes and challenges you with the altitude, terrain, and distance. 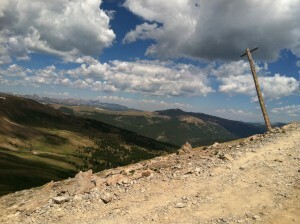 It’s one thing to run, it is another to climb 2,000 feet over a couple of miles. I have completed marathons around the state of Colorado and this past weekend I completed my 10th marathon … in Leadville. 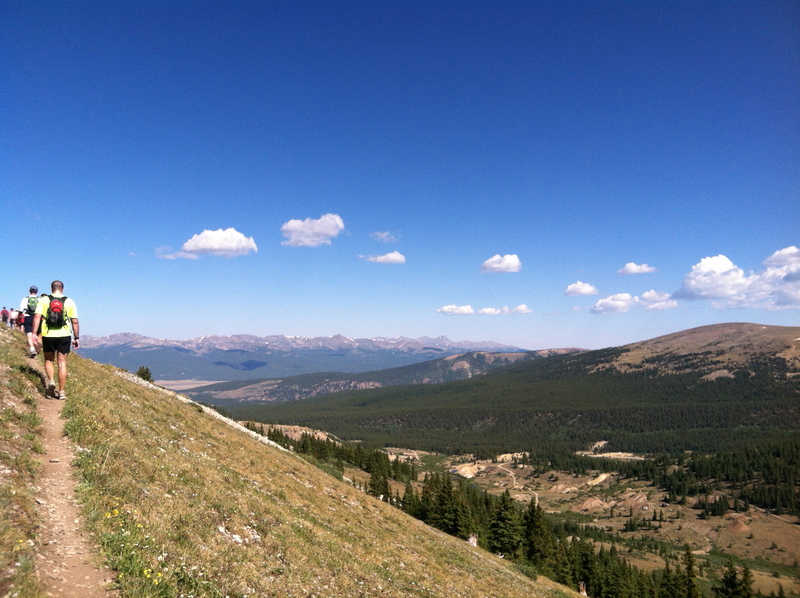 So I’m here to set the record straight on the magic of Leadville: it is true. Going into this race I knew I was in for some uphill work. 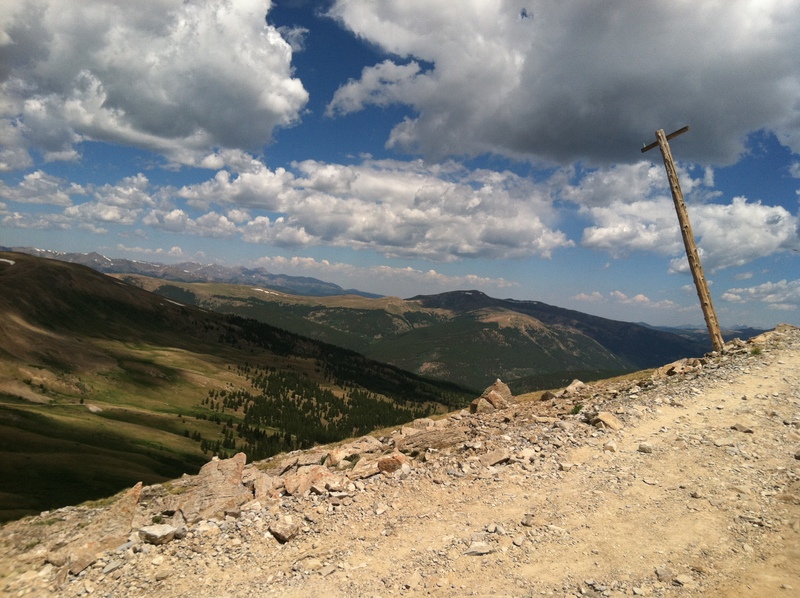 I knew that I was starting at 10,000 feet and topping out at 13,185 feet of elevation. That’s pretty high and can will take the breath out of you. As I would soon find out, it was like walking up the side of a mountain with an elephant riding on your chest. What I really like about these races are the crowds. Standing at the starting line, with 4 minutes until the gun, I was hanging out and talking with a Masters World Ironman Champion. Seriously, 4 minutes to go. No big deal. Just blah blah blah away and eventually will start moving. So cool! I met so many people in one day (see below) that I didn’t really feel like I was at a race. It felt more like I was going on a long hike with a bunch of friends. Once the gun went off, people started out on a shuffle. I should mention that the course starts uphill. Oh, and when I say starts, I mean the first 4 miles. Uphill. Since my first ultramarathon, 50 miles here in Leadville a year ago, I have been working on my power hiking. Today it all came together. I was passing people on these crazy climbs! Now, passing was pretty tough as the terrain was a ton of loose rock. I felt like a NASCAR driving picking my time just right to pass people. It felt good to see the improvement. There were times though, it felt like we were lined up in a death march up the mountain. I just kept smiling to myself and thinking how much I love all of it! Once to the top of the first climb, about mile 4, was an aid station. These volunteers are amazing! They provide the right mix of encouragement and refreshment one needs. It’s the family reunion that says we’re glad to see you, but keep on moving forward. All of my favorite items were at the aid station: PBJ, Coke, pretzels, and fruit. It still takes me back to the days as a kid I would spend with my grandfather. He lived in the same town as us and sometimes I would get to stay with him just hanging out. Somehow, PBJ and Coke were the staple meal that still fuels me to this day. From there, it’s still more climbing. This time we go up over Ball Mountain to get to the base of the next mountain. I have to say, if someone has issues with heights, this would be a very challenging course for them. Trotting along the ridge of a mountain while looking down can make your stomach queasy. Once you lift your head though and realize the incredible beauty surrounding you, it is tough to not be in awe. At the peak were the course photographers … this may be the first race I purchase a course photo. 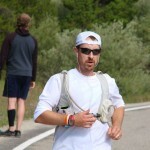 The next few miles were a bit of a blue as I descended down the mountain over to the next aid station. I knew what was about to happen next as each time I looked at the elevation map for the course, it was hard to ignore that 13,185 Mosquito Pass peak. Fortunately, at mile 9 and 16, they put an aid station at the base to prepare you for going up and be there for when you came down. As I started the ascent I knew a couple things. 1) it was about 3 miles to the top that included 2,000 feet of elevation gain and 2) this was going to take a long time. Again, the ground made it challenging from a footing perspective and all I kept thinking was that I would be going just as slow coming down. About a mile into my ascent is when the first marathoners were coming down. They were flying down and doing their best to stay upright in the process! Luke was about the 8th one coming down (photo is of Luke & I post-race). I gave him a hey and then hoped that didn’t distract him from keeping his footing. Another mile later I passed by Amy S. as she was descending and gave her a “looking good” comment. I seriously had to be getting close to the top. Every turn seemed like another cruel joke that was being played on everyone. Make it to a turn only to find another long climb to yet another turn. Probably about half a mile from the top I came across a person I will call Puke Guy. When I say he was puking, I mean that the volume of his noise and the splatter was most likely heard 3 mountain peaks away. I get it. Almost 3,000 ft of climbing to 13,185 is tough. But your loud puking had me gagging and almost puking next to you. Once making it to the top I received yet another surprise. Hail. Oh yeah, hard white stuff that didn’t seem like it had very far to fall. The wind started to pickup and chills ran down my body. 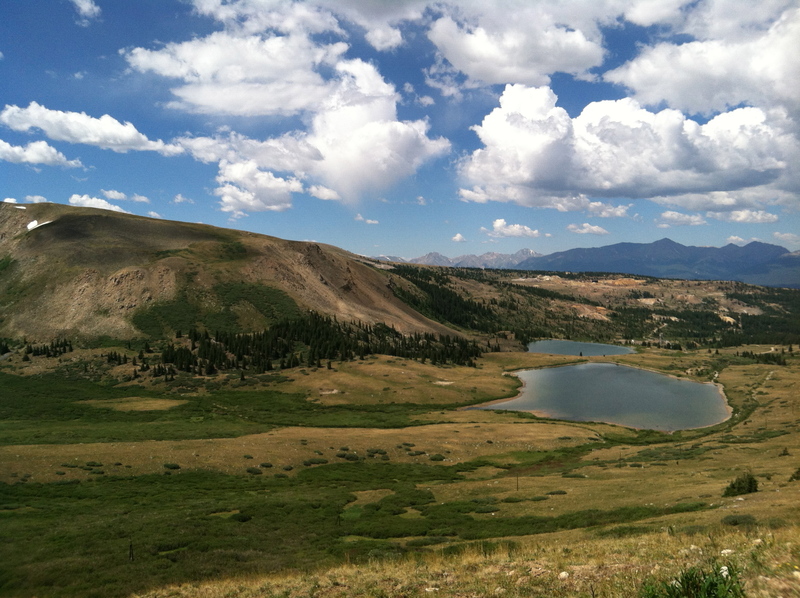 If there was ever a way to put someone through a test that included constant change, unexpected body issues, falling, climbing, and heat, a trail run in the high Colorado mountains would be the way to go. Heading back down the mountain I told myself that I would just use gravity as much as possible. I wasn’t going to walk, but I wasn’t going to run. Basically, I would just lift my feet while leaning forward and then catch myself. Repeat. For 3 miles. It took 1 hour and 20 minutes to get up and 30 minutes to get down. You can start to paint the picture. Once I made it down to the aid station, I knew the hardest climbing part was over and the rest would be pure moving-forward-mental. The cruelest thing you ever did was come around. 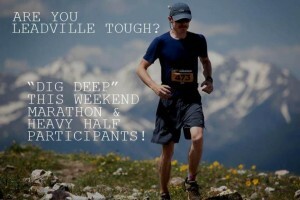 You have a 3 mile loop then 4 miles downhill to the finish line. I’m all about simplifying the plan and that couldn’t be anymore simple. If it was true. The 3 mile loop was around Ball Mountain where we came up. That meant more climbing. Again, my power hiking training came in handy as I passed a dozen people. Had a little chat with some depending on their mood. A few were focused on getting the hell of the course while others knew talking would help pass the time. One of the great moments for me on the 3 mile loop was that it took me over the spot I fell at mile 20 last year of the Silver Rush 50. At that moment I was with 3 other runners and I stopped in the middle of the hill, pointed at the root still sticking out of the ground, and told the story. I look forward to seeing that spot again in a couple weeks for this year’s 2012 Silver Rush 50. Made it back to the aid station where the volunteers reemphasized that there was just 4 miles to go and it was downhill. True, except for 1 mile of that. That’s alright though, as running downhill over loose rock is not as fun as it may seem. A couple of my toes were none to happy with me, but the majority of them holding strong. 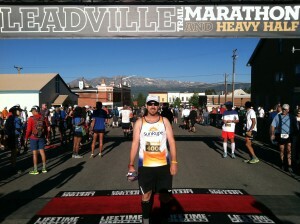 Once I hit the pavement, I was excited because that meant less then 1 mile to go. The challenge there was that you could see the finish line for about that entire mile … and it didn’t seem like the finish line was getting any closer. Chatted for most of that mile with a guy who is doing the Leadman because him and a buddy asked themselves what is the hardest and dumbest thing we could get ourselves into for 2012? Yup, completing every run and bike race, including both 100 mile races, would certainly stretch your imagination and determination. The finish line of this race was very sweet. 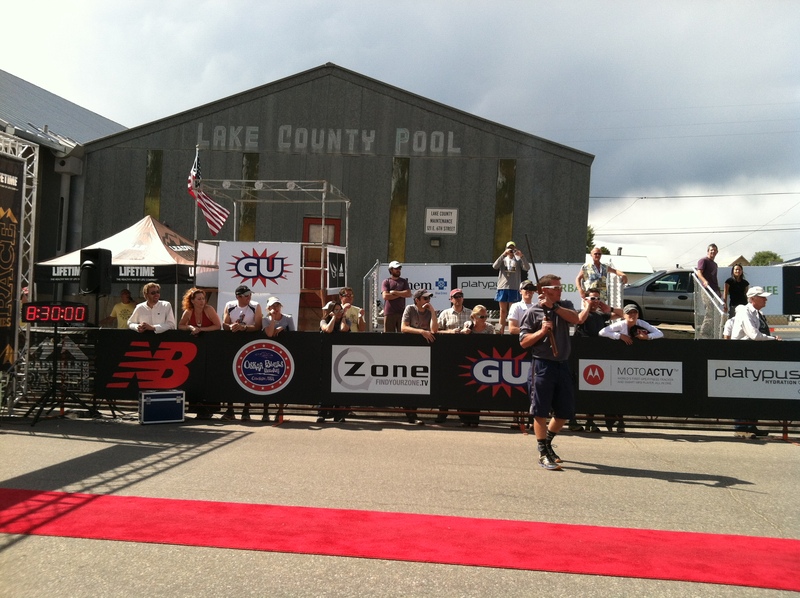 You run down a red carpet and there is a ribbon for every runner to run through. 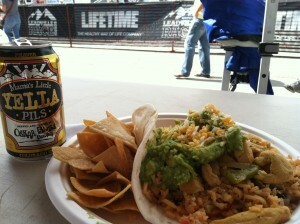 Leadville does an excellent job of making every runner feel like a VIP. 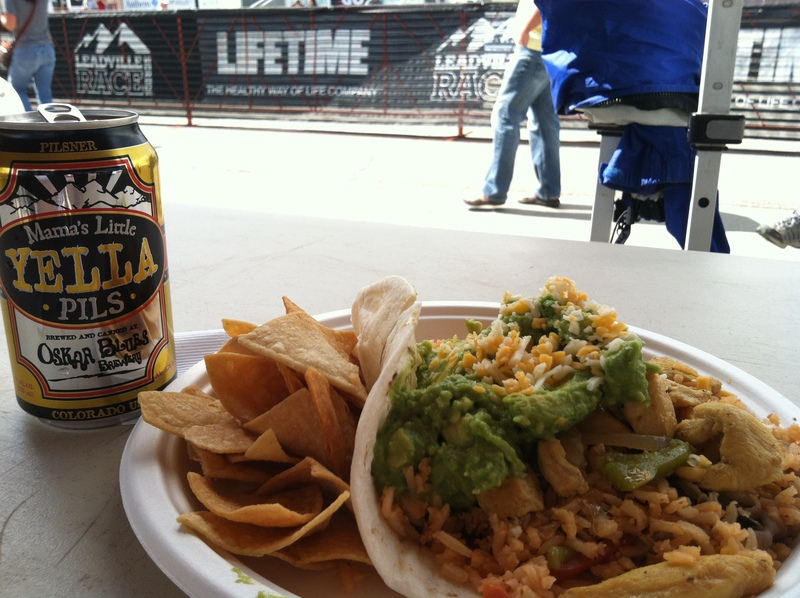 The post race food was no exception. Theme was Mexican and included chicken, beef, beans, guacamole, and beer. I ate until my stomach said stop. 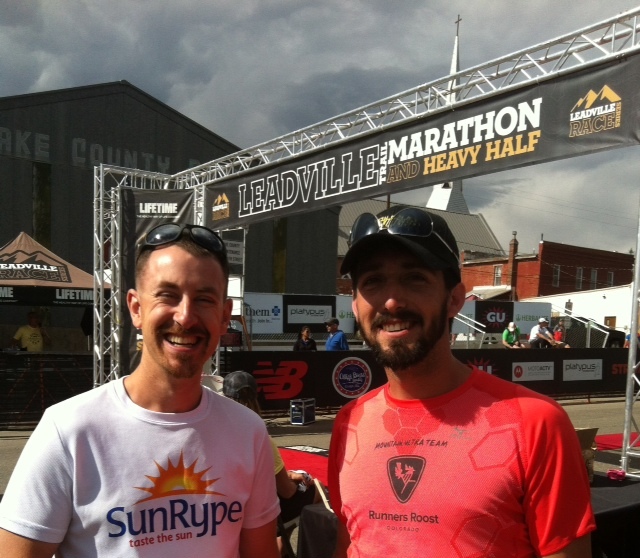 The cutoff for the race was 8.5 hours. Once again, this race knows how to signal the time is up. A guy stands at the finish line with a shotgun and everyone counts down the final seconds. Then he, fires that right into the air signaling the end of another awesome race. Unlike other races though, they do not shut down the finish line. People can still finish and receive their finisher’s medal. 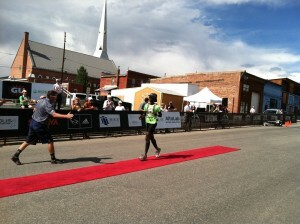 The race clock was showing 9 hours when a man in his 60’s came moving down the red carpet to cross the finish line. His right knee was wrapped in a bandage, his left knee had a brace, and he was holding back tears as he fell into his wife’s embrace. A couple hundred people were on their feet welcoming this man back after 9 hours on his feet through the challenging mountains. It was an emotional moment for all that witnessed. I heard a comment from someone: Everyone here today is fit. So true. 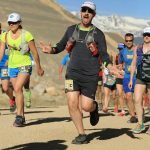 I think that is one of the things I like the most about trail and ultra running is that everyone pays attention to what they do to their body. Now, that doesn’t mean this community avoids beer. Quite the contrary actually. That topic, however, will have to be saved for a different research project post. The point is that you can train for a road race and always have the option to stop. 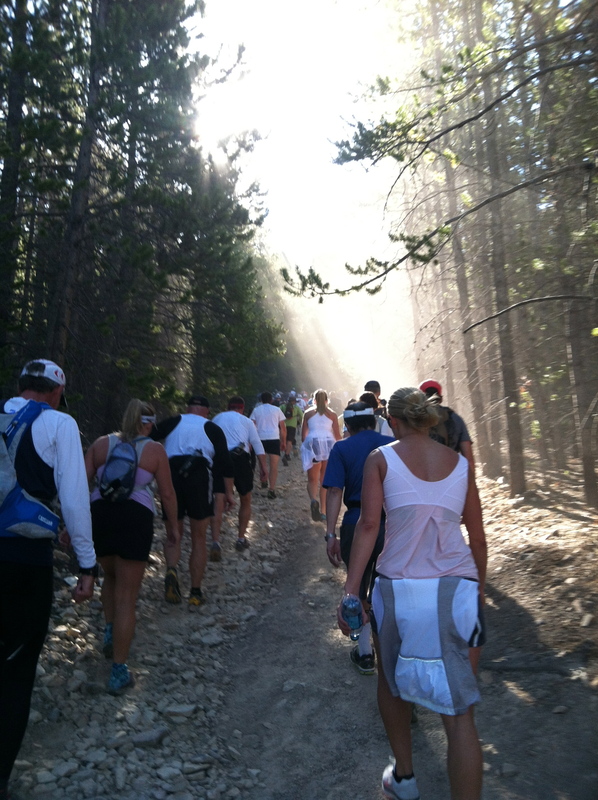 In a trail race, the only way out is on your feet, so you find solutions to keep moving forward. – Lady from Wisconsin who is doing the Leadwoman (you complete every bike/run race in Leadville season) … and has 4 kids! – Lady from Texas concerned about altitude. I think you just took care of that one. – Swollen Fingers Guy: he was quite panicked when his fingers were swelling at 12,000 feet. Then he quite excited when I handed him a salt tablet. Ran into him about 15 miles later when he thanked me again. – Luke & Courtney: I have been exchanging messages with this happy couple for quite a few months and missing them at races. Mostly I miss them because I just run to slow! 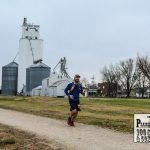 From the hail to the rain to the wind to the heat to the intense climbing, I would say this was harder then the 50 mile race in Leadville last year. 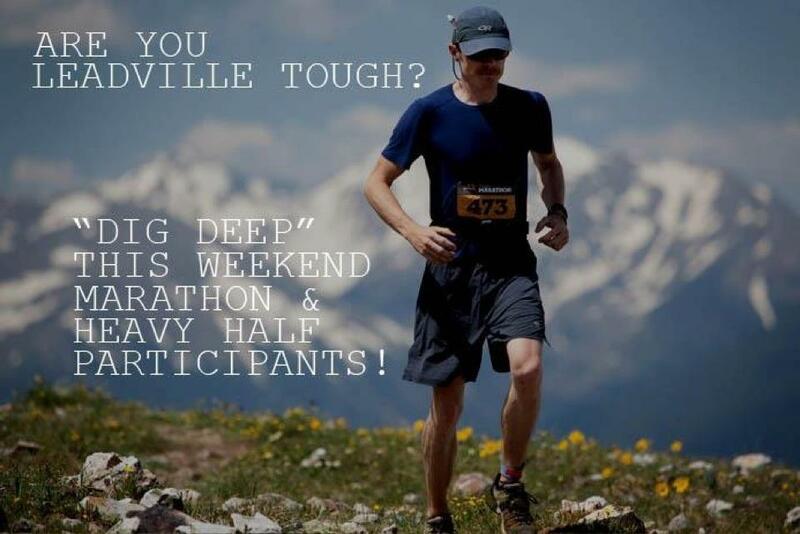 All of it is great training and getting ready to take on the Leadville 100 Mile Trail Run. Life is an adventure and each day is another chance to experience life. Keep moving forward and smiling folks! Awesome work out there! 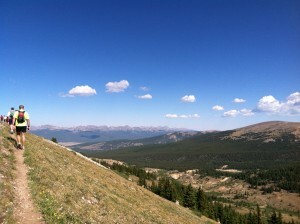 Going to be a good few months up in Leadville!